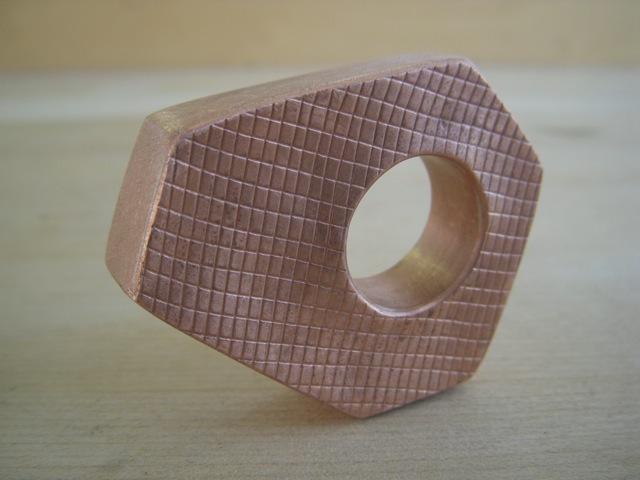 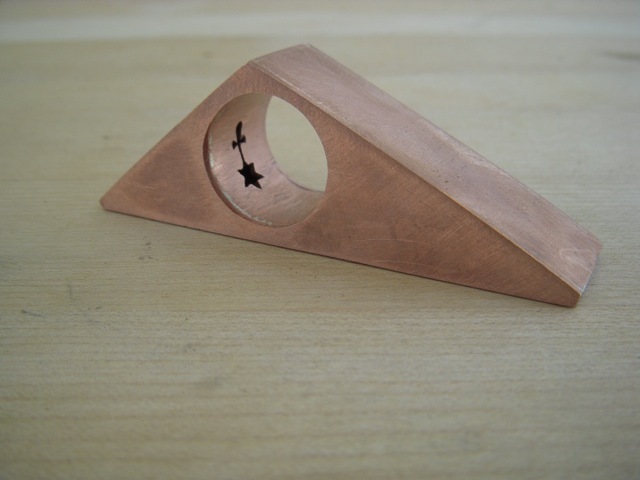 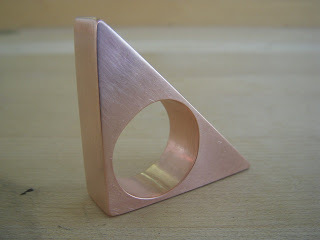 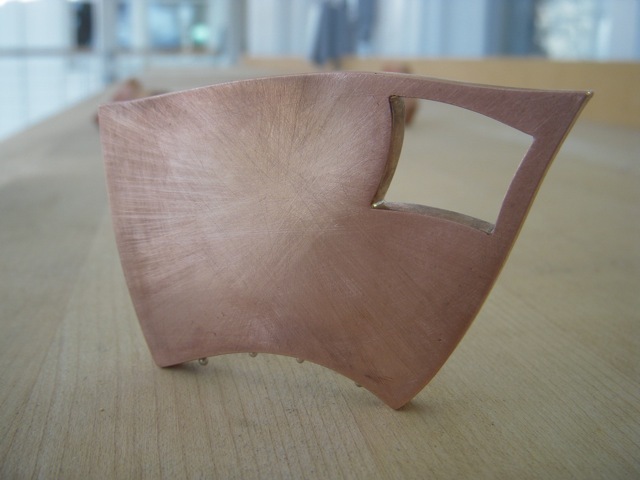 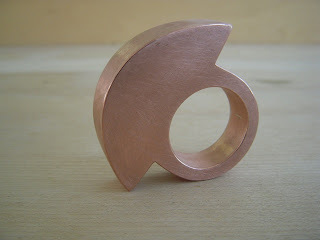 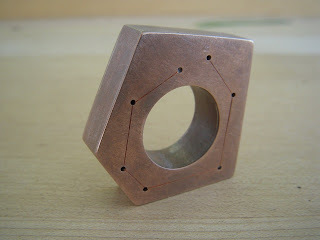 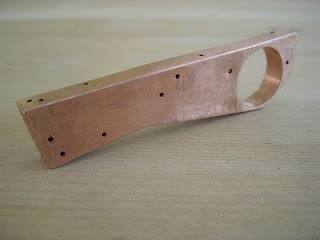 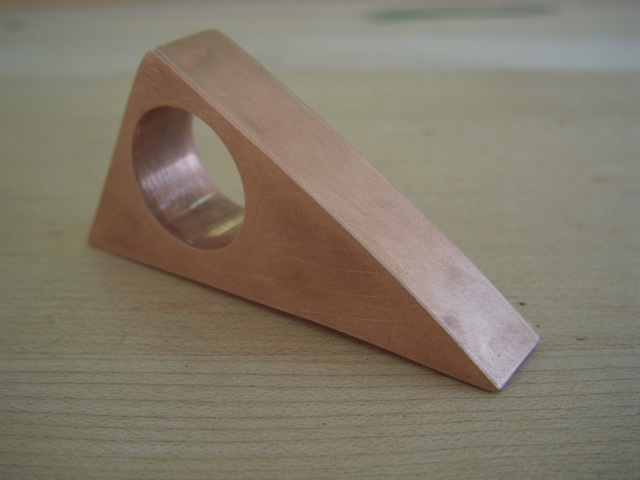 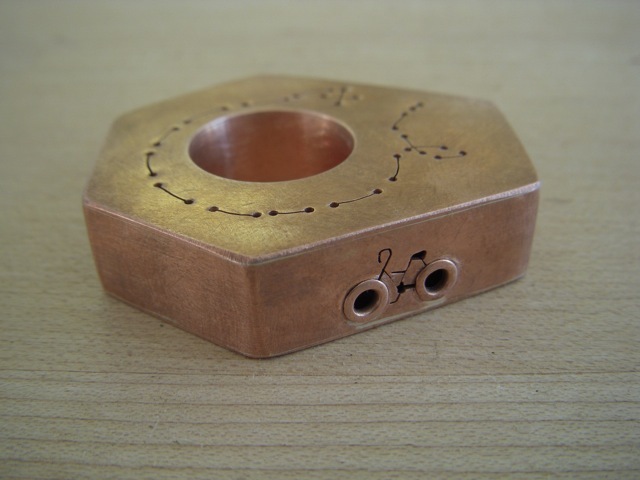 The latest batch of great work from my champs...hollow form rings, a perfect beginner project because it combines the most basic techniques of sawing, piercing, filing, and soldering as students learn all about construction. 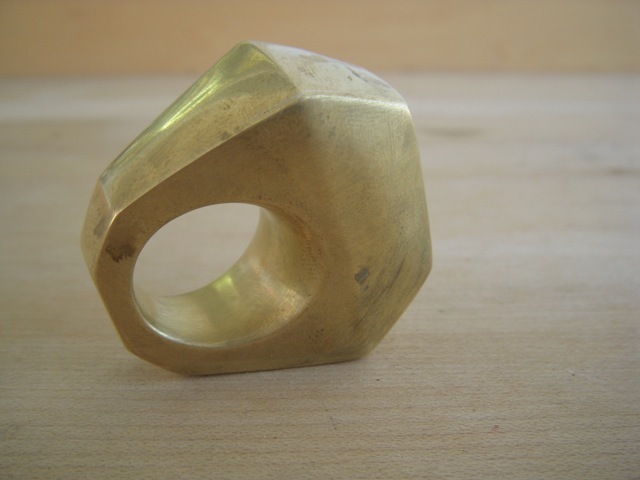 For this project I asked my students to make a hollow form ring with at least two scored and folded sides. 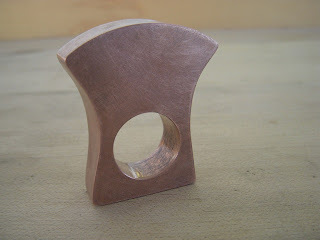 The ring at the bottom is the one I made during the hollow form demonstration.